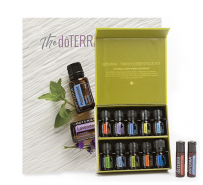 HOW TO HELP A FRIEND OR FAMILY START WITH DOTERRA — Mamma Jones CONSCIOUS PREGNANCY, RAISING SUPER HEALTHY CHILDREN, BALANCED MOTHERHOOD & NATURAL LIFESTYLE, HORMONE HEALTH, MENTAL HEALTH, BUILD ROBUST IMMUNITY, HEALTHY RESPIRATORY SYSTEM, SKIN HEALTH, ANXIETY MANAGEMENT WITH THE TOOL OF ESSENTIAL OILS. HOW TO HELP A FRIEND OR FAMILY MEMBER START WITH DOTERRA ? I KNOW YOU LOVE YOUR OILS BECAUSE YOU ALWAYS TALK ABOUT THEM. SO YOU MIGHT HAVE SOME FRIENDS WHO ARE INTERESTED TO ORDER SOME. HERE IS HOW YOU CAN HELP THEM GET THE SAME DEAL AS YOU DO. AS LONG AS YOUR MONTHLY ORDER IS SET UP YOU WILL GET 20% REFERRAL COMMISSION PAID FROM DOTERRA. 2) I will be in touch with you to make sure you are set up for receiving your commission. BUT PLEASE REMEMBER, COMMUNITY IS WHAT MAKES THIS EXPERIENCE WORTH LIVING, THE SUPPORT AND FREE EDUCATION MAKES A BIG DIFFERENCE. PLS ADD YOUR NEW DOTERRA FRIENDS IN TO OUR FACEBOOK GROUP ONCE THEY ARE ENROLLED WITH YOU. CONGRATULATIONS YOU JUST CHANGED SOMEONE’S LIFE!